Fighting With Yourself Isn't Going To Do It! Accept Your Quit As A Process, And, Let Smoking Go. Welp, you fooled me. I thought you were going to say, "Keep Them Away From Your Face!" "Keep Them Away From Your Face!" 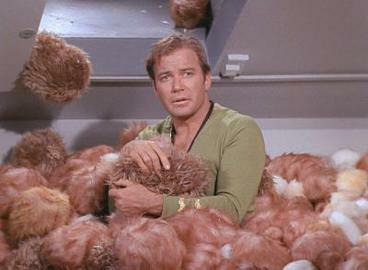 Sickerettes are like Tribbles - you just can't stop them! "Seize the time, Meribor - live now!"